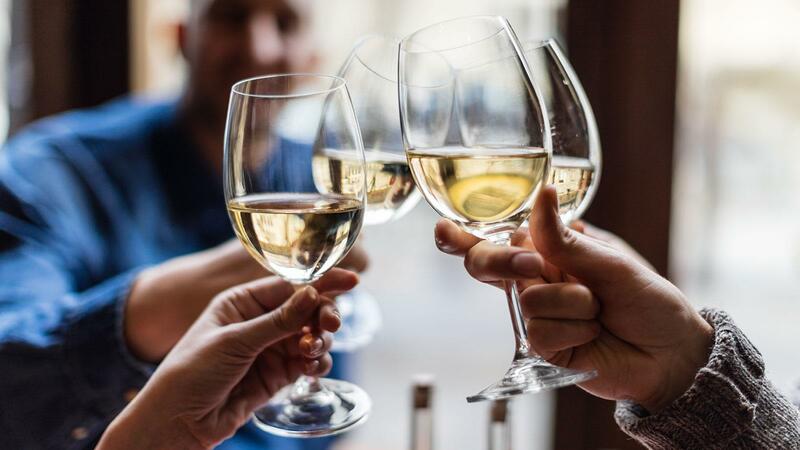 Cheers to the stories that defined the wine world in 2018. Another year is coming to an end. Nope, it's not too early to say that. But before we start on our predictions or resolutions for the year ahead, I'd like to take a moment to reflect on the year we're leaving behind. What makes wine interesting is the people behind it—those who make it, sell it, buy it, drink it. And the stories worth telling are often of those who are constantly innovating, striving to better their craft and pushing ahead despite trying challenges. Here are some of my favorites from 2018, as told by writers at Wine Spectator. 1. After the Wildfires: One Year Later, Napa and Sonoma Rebuild: Last month, senior editor MaryAnn Worobiec spoke to vintners in Napa and Sonoma about how the region is recovering from last year's fires; among them were the folks at Signorello and Paradise Ridge, whose wineries were completely destroyed but who are working on rebuilding. While locals have a lot of hope for the future with the promising 2018 harvest and tourism levels nearly back to normal, it's not all rosy, as they face insufficient insurance policies and housing and labor shortages. But it's important to keep these issues in the conversation and examine what lessons California has learned about dealing with fires, long after the relentless news coverage and big-ticket fundraisers have petered out. And it's all the more important because, sadly, as I write this, the devastating Camp fire is ripping through Northern California, while Malibu area residents are still assessing the damage to homes, wineries and vineyards from the Woolsey fire. 2. The Newest Rothschild in Wine: Big generational changes at established Bordeaux châteaus only happen, well, once in a generation. It was exciting to witness the one at Château Lafite Rothschild this year, not just because of the stature of the estate, but because of who was stepping up. Saskia de Rothschild became the new chairman of Domaines Barons de Rothschild (Lafite) in March, and a few months later, she sat down with contributing editor Suzanne Mustacich for an interview. Rothschild is incredibly accomplished at just 31, armed with both a business degree and a journalism degree from prestigious schools, and having worked as a New York Times reporter in western Africa, as well as at the family vineyards growing up. I was inspired by seeing a young woman take the reins of such a powerful Bordeaux institution, and hearing about her ambitious plans to take the estates to the next level. 3. Doing Time in Tuscany: The island of Gorgona and its vineyards may look idyllic, but Lamberto Frescobaldi, current head of his family's wine company, reminds people that it's a place of pain and a project of hope, reports contributing editor Robert Camuto. Indeed, Gorgona is home to a prison, to which convicts can transfer based on good behavior to learn agricultural skills in the vineyards. Frescobaldi jumped at the opportunity to contribute toward a potential better life for the prisoners, and his team has been overseeing Gorgona's winemaking since 2012. It's encouraging to hear about a better model for incarceration, one based on rehabilitation, and I was glad to see that the wine industry could be a part of that. 4. Silver Oak Builds First New Winery to Earn LEED Platinum Sustainability Certification: As consumers shift toward food and beverages that are grown in a sustainable way, we must also think about the ecological impact of the structures in which production takes place, from energy use to waste management and more. In July, California's Silver Oak became the first commercial winery in the world to achieve LEED Platinum certification, the program's highest level, for a new-construction building, with its solar-powered, water-efficient facility in Sonoma's Alexander Valley. It also became the first wine company to have two Platinum-certified wineries; just two years before, its Oakville facility earned LEED Platinum certification for upgrading an existing building. Associate editor Ben O'Donnell spoke to CEO David Duncan and niece Haley Duncan, who hope their lead will provide a model for other vintners in the region to follow. 5. Could the Peach State Become the Beef State? As part of our Perfect Match series, Atlanta's chef Linton Hopkins shared a recipe for a steak dinner that even a steak-weary eater like myself salivated over. But what caught my eye was Hopkins' side project, which aims to create a Kobe-level beef industry in Athens, Ga., after the chef realized that the city sat along the same latitudinal axis as Hyogo in Japan, where Kobe beef comes from. With the University of Georgia and the Georgia Department of Agriculture as partners, and with painstaking work to come, he tells Perfect Match editor Hilary Sims that he hopes this will elevate the entire community, from the cattle farmers to the butchers to the restaurant-goers.